Your budget shrinks, but you have to deliver more every year—consolidate, build shared services, increase security, and prepare for emergency situations. The answer? 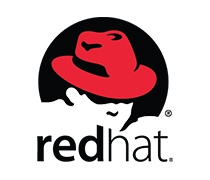 Stable, trustworthy, and secure Red Hat open source solutions. Red Hat® technologies use the power of open source communities to make you more efficient, meet critical IT demands, and improve service delivery—all without vendor lock-in.